When I was a young lad in London, many evenings I used to lie under the blankets in the dark listening to American Forces radio. I heard about the 1960 Presidential elections, I heard the News in Special English (what I assume was the basis for Bob & Ray’s wonderful “Slow Talkers of America” skit), and I am pretty sure that was where I first heard Bob Newhart. But mostly I enjoyed the word pictures conjured up by the wonderful commentators on boxing and baseball. I was aware of baseball in a general way because, in those Cold War days, there was a US Air Force base nearby and they occasionally allowed us to visit to watch inter-service games. For a boy brought up on cricket and rugby and soccer, this game — so much like rounders which in England was only played by young girls — seemed tame, slow, and frankly boring. For good or ill, I have never grown out of that opinion, even as I recognise that this view is not shared by the millions of the game’s supporters. 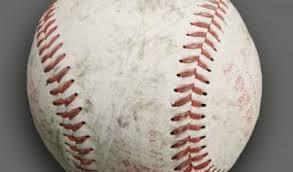 Whether the sport was developed in England or invented by Abner Doubleday, both Brock’s history and the reviewer note that baseball has been subject to constant change. I happen to believe it has changed these days into little more than a way in which vast and unseemly wealth is lavished on a few lucky players. I am astonished that professional cricketers can now make a million or more a year but that pales into insignificance when compared to the $10 million, $20 million, $30 million a year contracts that are becoming commonplace in Major Baseball. I remain unconvinced that this change is good for this or any sport. Today, Wales Rugby won the 6 Nations Championship; more than that, they scored a Grand Slam by beating each of the other five countries. In today’s final game, we crushed Ireland who, before the Championships, were clear favourites. It is a glorious day! I have followed Welsh rugby for 60 years, and I was privileged to have grown up with heroes such as Gareth Edwards, JPR Williams, and so many other great players. 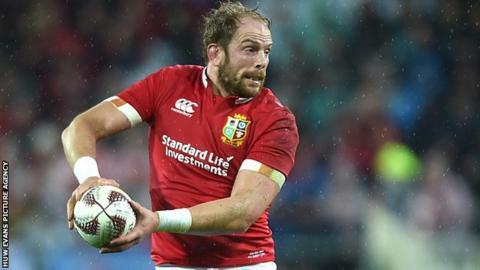 But, seriously, I believe that today’s captain of Wales, Alun Wyn Jones, is probably the best player we have ever had. Very much looking forward to the Rugby World Cup later this year. Look out All Blacks! This morning I watched a so-so game of rugby in which Ireland beat Scotland. Because I wasn’t transfixed by the game on the screen, I managed to finish doing the taxes for the Everloving and me. This is definitely the earliest I have ever got them done. I have to say that one of the benefits of being old and poor (along with bus passes, free drugs, and grocery deliveries) is the lack of paperwork. None of those complicated deduction and benefit schedules for us, oh no: just the basic form to fill out and enjoyment of the “zero balance payable” before licking the stamp and sending it off. Now I can sit back and watch Wales rugby destroy Italy without a care in the world. Except … I am delaying having to deal with the major damage to our patio caused by the gale-force winds last night. I have some confidence that Wales will put me in a mood sufficient to face that freezing ordeal. Longtime readers will be familiar with our 20-year addiction to the sport of sumo. Since at least 2012, I have been following and cheering on a Japanese rikishi called Kisenosato. As background, the highest ranks of the deeply Japanese sport of sumo have been dominated for twenty and more years by rikishi from Mongolia and eastern Europe, including the current, and possibly greatest ever, yokuzana (or Grand Champion), Hakuho. The young Kisenosato was promoted as the latest and greatest hope for a Japanese to regain the top spot. Unfortunately, there were times in Kisenosato’s career when he just didn’t seem to focus and it took him many years to finally reach the highest ranks. By then his body was beaten up and he has fought very little over the last eighteen months, withdrawing from several basho (tournaments) in a row through injury. Yesterday was day four of the January basho, which Kisenosato had chosen as his comeback tournament. He was welcomed with open arms by the Japanese crowd but, unfortunately his sumo was not good enough and he lost the first three days’ bouts. Sumo is a sport of very strict tradition, there are rules both written and unwritten that must be followed. Grand Champions are expected to win a very high percentage of their fights. If they do not, the weight of tradition begins to pressure them into retirement. 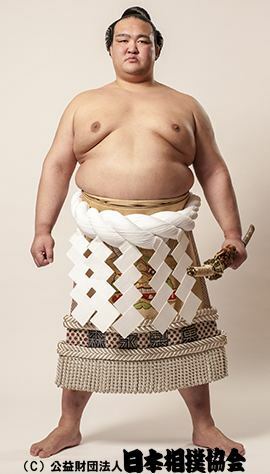 After his year out with injury, Kisenosato had to immediately re-establish his position in the hierarchy. He couldn’t do it and so today he announced his immediate retirement. It is, I think, a sad end to an unfulfilled career. Luckily, as we have seen in this basho and the previous one, there is a batch of young Japanese rikishi who are just bursting through: Mitakeumi, Takakeisho, Abi and several others are capable of beating anyone on their day. The first four days of this basho have witnessed the defeat of most of the upper level rikishi by up-and-comers: It makes for a great tournament. When I was 8 years old, my parents had very little money and we lived in what today would be called a slum. We couldn’t afford magazines or anything of the sort, but we did get the Daily Mirror. The walls of my bedroom were covered in smudgy newspaper black-and-white photos of my heroes, Manchester United, and, most especially, their young superstar Duncan Edwards. Sixty years ago today, an aeroplane carrying the team on a flight from Munich back to England crashed on take-off in the snow. 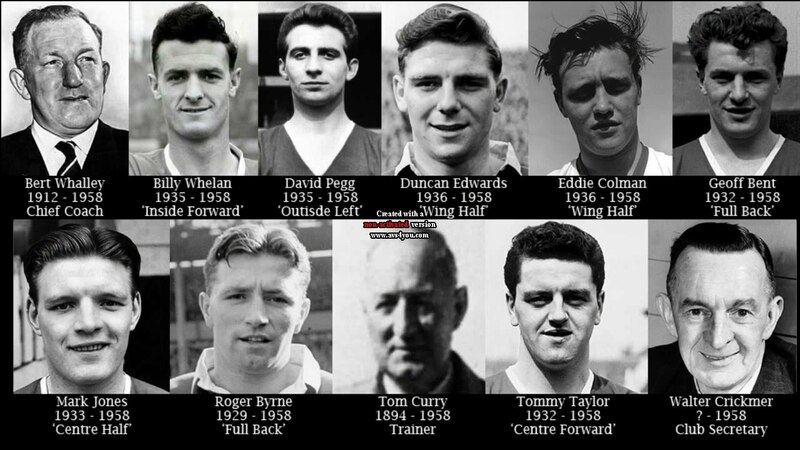 Twenty people died at the scene, including ten players and trainers, and three others, including Duncan Edwards, died later from their injuries. It was a tragedy that brought England to a standstill. Clubs didn’t have huge bank accounts in those days and the disaster almost caused the club to fold. In the end it took manager Matt Busby (who had been seriously injured in the crash) ten years to rebuild the team and win another championship. Being young, I didn’t have the patience to wait and I had already switched my allegiance to Chelsea by then. Tonight we went to see the Canadian rugby team play the Maori All Blacks at BC Place. We were wrapped up in our winter woollies with scarves and gloves and the whole bitter cold night thing. Before the game, we went to the food hall at Costco’s for two polish sausage hot-dogs with all the trimmings plus two soft drinks (and refills) and a massive vanilla ice cream cone for $5.50. I’ve written before about how this is the best deal in town. This was cemented in my mind when, after that satisfying snack, we headed into the stadium and saw that a single foot-long hot-dog by itself was $9.25! Canada lost by 51 points to 9 — quite the blowout — but that wasn’t too unexpected a result, let’s be honest. Canada kept it close in the beginning — 9 points to 10 at one stage — but then the All Blacks scored three easy tries from three Canadian mistakes and that was that. In the second half they just piled it on; but the Canadians never gave up, kept pushing, and when they had a decent break up field the full house roared them on. Talking about a full house, it certainly looked full and felt full, and the announced attendance was 29,840 which is a record for a full rugby international in Canada. It has been a long time since I saw a rugby game in the flesh — and this would have been the very first one for the ever-loving who loves everything New Zealand and so was ecstatic at the result. Seeing the Maori’s haka live was exciting, as was the half time show of traditional Maori song and dance.